I was sure I had posted this yeterday, but see it not, so perhaps I forgot to hit the submit key. FZ150, TCON-17, Tripod, Rain. Excellent shot, Steve. Probably they gave you time to rethink the caption - something like 'beak balance'! Thanks Alex and Raghu. I posted this late at night so was not in the mood to think up a catchy title. I am sure I would have had one the first time. That's an awesome shot Steve! Great timing, and the feathers look so pretty. That is a great capture Steve, one you don't get everyday. Thanks gordy, saly and jj. I was pleasantly surprised to see this one on my card when I got home. Talk about a 3-point landing! That's a fantastic shot! Wow! what a great shot steve!!! just breath taking. 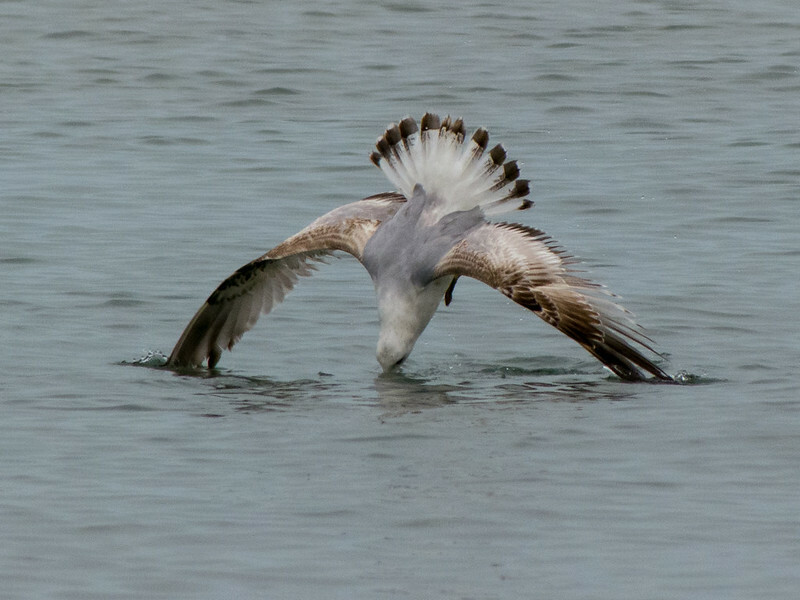 did the gull catch anything?